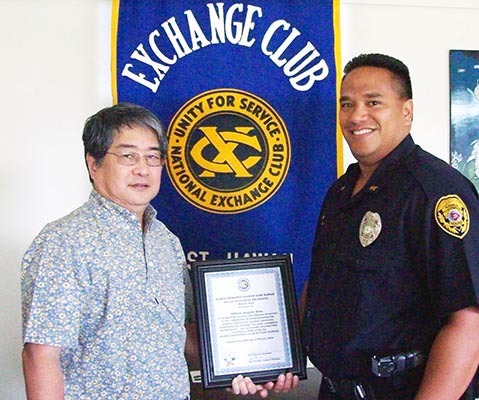 The Aloha Exchange Club of East Hawai’i recognized Officer August Aina on Thursday (January 28) as “Officer of the Month” for March. Aina was honored for saving a suspect who was in respiratory distress in a cell at the Hilo police cellblock on February 5. Aina rushed to the cell and administered the Heimlich maneuver, dislodging an object that was blocking the man’s airway. After the rescue, the man was able to breathe on his own.